The Acana dog food brand is known for producing “biologically appropriate” diets for dogs and cats – these are diets that mimic the natural evolutionary diets of wild dogs and cats. But what exactly does that mean? For one thing, all of their products are protein-rich and meat-based. More importantly, they are designed in accordance with a whole prey philosophy of pet nutrition. Wild cats and dogs don’t just pick the best meat off the bones – they eat the entire animal, skin, organs, and raw bone included. That is why Acana’s pet foods include meat, organs, and cartilage in healthy ratios to mirror the natural diet of wild wolves – it is the simplest way to deliver nutrients to create a complete and balanced diet without the need for dozens of synthetic supplements. Furthermore, all of their products are made with fresh, regional ingredients and produced in award-winning kitchens. The Acana brand of pet food is made by Champion Petfoods. This company is an independent pet food manufacturer that has been in business for more than 25 years. Champion Petfoods is headquartered in Edmonton, Alberta Canada and it is the same company that produces the Orijen brand of pet foods. Both of these brands make use of fresh, regional ingredients. While they are a Canada-based company, some of their products are manufactured in the United States. The primary manufacturing plant used by Champion Petfoods to produce their products is the DogStar facility located in Alberta, Canada – they also have a plant in Ontario. In 2014, Champion Petfoods announced that they would be building a new production facility in Auburn, Kentucky. That kitchen opened in 2016 and it is primarily used to produce Champion pet foods designated for sale in the U.S. Like Champion’s other manufacturing facilities, this new plant will only be used to make Acana and Orijen products – no private label pet foods. The Acana brand makes it very clear that most of their ingredients are “regionally sourced,” but what exactly does that mean? Their brand is headquartered in Canada, so that means that most of their ingredients come from Canada as well. Some of the regional ingredients they use in their recipes include cage-free poultry, ranch-raised meats, nest-laid eggs, and wild-caught fish as well as sun-ripened fruits and vegetables. All of their ingredients are fit for human consumption and they are delivered fresh daily to negate the need for preservatives. 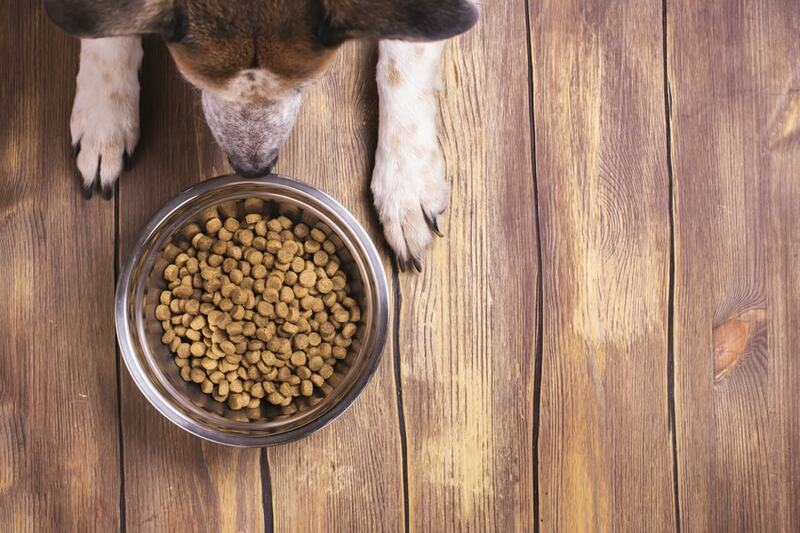 Unlike many pet food brands, they don’t outsource the production of their products. Champion Petfoods owns several manufacturing facilities in the U.S. and Canada where they produce all of their Acana and Orijen products. These facilities are held to the highest standards for safety and quality, plus all of the ingredients used are fresh and regionally sourced. All of this being true, it should come as no surprise to learn that they yet to be affected by a single Recall. Their products can be found in specialty pet stores as well as some local chains- you can also purchase them from online pet food retailers. The company occasionally offers acana coupons on the company website and you can connect with the brand on social media to receive special offers. You may also be able to find Acana dog food coupons from individual retailers as well. How expensive is their Products? As a high-quality pet food brand that uses fresh, regional ingredients, their recipes are more expensive than the typical dry food. Keep in mind, however, that with their recipes you are paying for quality. The price for a 25-pound bag of their dry food ranges from about $55 to $115, depending on the recipe. You can purchase 3.25-ounce bags of treats for $12 to $20. The Acana brand of pet food offers a wide variety of recipes, though all of them are dry food – they don’t currently offer any canned products. Their recipes are divided into four different product lines including a line of classic recipes and one line featuring regional ingredients. There is also a small line of limited ingredient diets and one featuring recipes for different life stages. Although they don’t offer any wet products, they do have a limited selection of dog treats made with the same quality ingredients as their dry foods. The Acana brand only offers dry food formulas, but they are all made with fresh, regional ingredients in formulas that mimic the natural evolutionary diet of wild dogs – nutrition the way Mother Nature intended. Each one their recipes is meat-rich and chock-full of protein as well as other nourishing ingredients like fresh fruits and vegetables. Their dry foods are designed in keeping with a whole prey philosophy of nutrition which includes fresh meat, organs, and cartilage in natural ratios to ensure complete and balanced nutrition without the need for dozens of synthetic vitamin and mineral supplements. This Regionals Wild Prairie Dry Food Recipe is inspired by the fertile prairies and pristine lakes of western Canada. It is a protein-rich recipe loaded with free-run Cobb chicken, whole nest-laid eggs, and wild-caught fish, all of which are delivered fresh daily to their award-winning Alberta kitchens. This formula is designed in keeping with whole prey ratios including 70% meat ingredients – that is up to twice the amount you find in most specialty products. This recipe features five different fresh meats as well as fresh fruits and vegetables and a limited assortment of synthetic supplements to ensure complete and balanced nutrition for dogs in all life stages. As promised, the first ingredient in this Regionals Wild Prairie Dry Food Recipe is fresh chicken meat. This ingredient is followed by fresh turkey meat and then by an assortment of chicken giblets – liver, heart, and kidney to be specific. Some dry foods run into a problem when they use fresh meat as the first ingredient. Fresh meats contain up to 80% moisture by volume so, when the product is cooked down to 10% or 12% moisture, much of that volume is lost which means that the total volume of protein could be much lower. This isn’t the case with this Acana dry products, however, because not only does it contain multiple fresh meats but it also contains three meat meals – chicken, turkey, and herring. Meat meals are simply fresh meats that have already been cooked to remove moisture which makes them a highly-concentrated source of protein. The main carbohydrates used in this Regionals Wild Prairie Dry Food Recipe are whole green peas, whole red lentils, and whole chickpeas. Not only are these carbohydrates highly digestible for dogs, but they are also gluten-free and grain-free which equates to a low risk for triggering food allergies and sensitivities. You will also find some supplementary carbohydrates further down the list – whole green lentils, whole pinto beans, and whole yellow peas. In addition to these carbs there are some supplementary sources of fiber as well – lentil fiber, dried brown kelp, and an assortment of fresh fruits and vegetables. There is also chicory root, a source of inulin which is a prebiotic fiber that helps to support the beneficial bacteria in your dog’s digestive tract. The remaining ingredients in this Regionals Wild Prairie Dry Food Recipe consist of supplementary proteins and carbohydrates as well as healthy fats, herbs and spices, and nutritional supplements. Much of the fat in this recipe comes from the fresh meats, meat meals, and organ meats but there is also pollock oil – as an animal-based fat, this ingredient is highly beneficial for your dog and a source of concentrated energy. The herbs and spices used in this recipe help to add flavor and they (along with the fresh fruits and vegetables) act as natural sources for key nutrients. Because these ingredients are used so prolifically, this recipe doesn’t require a lot of synthetic supplements to ensure nutritional balance – there are only three supplements listed: vitamin E, zinc chelate, and copper chelate. Chelated minerals are highly beneficial for dogs because they have been chemically bound to protein molecules which makes them easier to digest and absorb. This Regionals Wild Prairie Dry Food Recipe is formulated to meet the nutritional levels established by the AAFCO Nutrient Profiles for all life stages. Overall, this Regionals Wild Prairie Dry Food Recipe is an excellent source of high-quality nutrition for dogs in all life stages. This recipe starts out strong with two fresh meats as the primary ingredients followed by several sources of gluten-free and grain-free carbohydrates. This formula is loaded with fresh meats, meat meals, and nutrient-rich organ meats as well as fresh fruits and vegetables as natural sources for key nutrients. This recipe doesn’t need many synthetic supplements but, of the three that are listed, two are chelated minerals. The only way in which this recipe could be improved might be in reducing the fiber content – the max crude fiber is at 7% while the ideal maximum for dogs is closer to 5%. All in all, however, this is a high-quality recipe. This Acana Singles Grass-Fed Lamb Dry Food Recipe is a high-quality limited ingredient diet that is complete and balanced for dogs in all life stages. This formula features 50% lamb as an easily digestible animal protein and, as the single source of protein, it is a great ingredient for dogs with food allergies or sensitivities. This recipe also includes highly digestible carbohydrates like fresh apple, squash, and pumpkin which also act as natural sources for key nutrients. This formula is completely free from plant protein concentrates as well as gluten and grains. Simply put, it is a nutritious and delicious dietary solution for dogs with digestive issues. As promised, the first ingredient in this Singles Grass-Fed Lamb Dry Food Recipe is raw grass-fed lamb meat. Traditional recipes sometimes run into a problem when they list a fresh meat as the primary ingredient because fresh meats contain up to 80% moisture by volume. When the dog food is cooked much of that moisture is lost and the volume of protein ends up being much lower. This isn’t the case with this recipe, however, because lamb meat meal is the second ingredient. Meat meals like this have already been cooked to remove moisture which makes them a highly-concentrated source of animal protein. This recipe also includes several lamb organs as supplementary proteins as well as lamb fat which provides essential fatty acids and acts as a concentrated source of energy. After the lamb meat meal comes whole green peas and whole red lentils – the primary sources of carbohydrate in this recipe. These ingredients are both gluten-free and grain-free, plus they are considered highly digestible for dogs. In addition to providing your dog with usable energy, these ingredients also contribute dietary fiber as well as natural sources for key nutrients. There are some supplementary carbohydrates that appear later in the list as well – apples, garbanzo beans, green lentils, and yellow peas to name a few. The fresh fruits and vegetables at the end of the list are also rich in dietary fiber as well as key vitamins and minerals. In fact, this recipe only needs four synthetic supplements (vitamin D3, vitamin E, zinc chelate, and copper chelate) to ensure complete and balanced nutrition. There are also some probiotics at work here. This Singles Grass-Fed Lamb Dry Food Recipe is formulated to meet the nutritional levels established by the AAFCO Nutrient Profiles for all life stages. Overall, this Singles Grass-Fed Lamb Dry Food Recipe is a high-quality source of balanced nutrition for dogs in all life stages. Furthermore, because this formula is made with a single source of animal protein, it is a great choice for dogs that suffer from food allergies and sensitivities. All of the carbohydrates in this recipe are gluten-free, grain-free, and highly digestible, plus many of them also act as natural sources for essential vitamins and minerals. Because this recipe is made with so many wholesome and nutritious ingredients, it doesn’t need many synthetic supplements to ensure complete nutrition. In fact, it greatly exceeds your dog’s minimum nutritional requirements. The one area in which this formula could be improved would be a slightly lower crude fiber value – it is currently at 7.5% when the ideal maximum for dogs is closer to 5%. I have never tried this food before, so decided to look into it. I have been a vet tech for 21 years. I have taken many nutrition classes. I don’t understand how you can make a dog food for “all life stage.” With my training, I was taught that senior animals need to have the proteins in their food processed a certain way so it is easier on their kidneys. Also puppies, adults and seniors calorie intake is suppose to be different, puppies needing more than adults etc… So how can you make a food that claims it is for all life stages? These all stages food send up red flags to me!